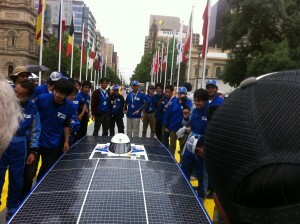 I am interrupting (will post Day 3 & Day 4 later) to report about the winning team, Tokai Challenger 2 of Tokai University of Japan, which had just arrived at Victoria Square of Adelaide, Australia, within the last hour. 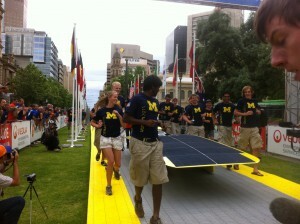 The official finish line is located at Angle Vale, Australia, approximately 40 km outside of Adelaide (to avoid too much traffic lights), another brilliant decision on the part of the organizing team of Veolia World Solar Challenge 2011. 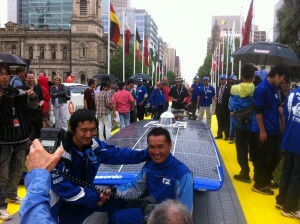 So, as we waited at the Victoria Square, the ceremonial finish line, we chatted with and shared our excitement with some of the participants who have been loyal supporters of this solar car race for more than eighteen years. 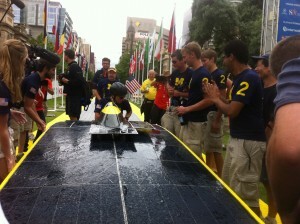 Despite the cloudy day with drizzle, our enthusiasm was not wavered the least bit. 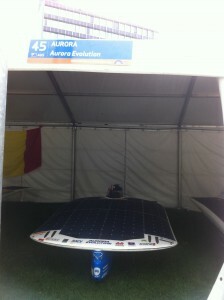 This is the special part of being solar participants, we/they are all full of extra dash of magical energy…perhaps a gift from the Sun…chuckle…. 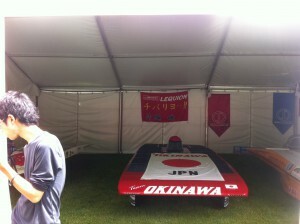 Here, we have a five-minute clip of interview with one of the winning drivers of Tokai Challenger 2 of Tokai University of Japan. 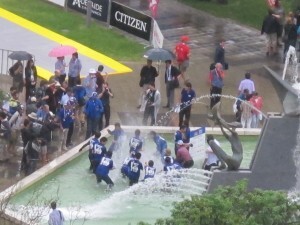 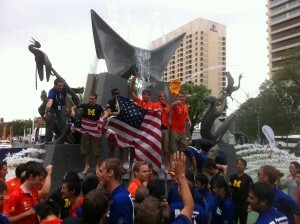 at the request of various reporters and of course the finale of hopping into the Victoria Fountain at Victoria Square. 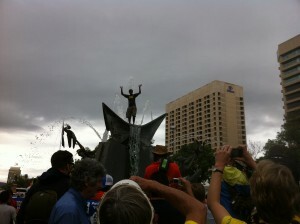 At the end of such a long journey through the desert of the Outback, one can fully appreciate/understand how this “Ritual Dip” got started. 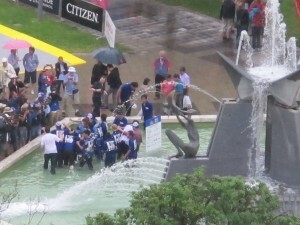 But on a cloudy day with a touch of drizzle such as today, we thank our winning team in continuing this tradition in showing their exhilaration, undeterred by the rain. 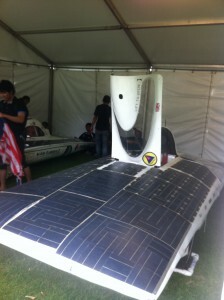 We are very pleased that Tokai Challenger 2 of Tokai University (from Japan) is the winning team and are not too surprised by the outcome, for they have replaced the unique single-crystalline silicon solar cells with space grade solar cells. 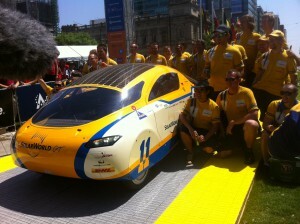 They have kept their winning design concept from 2009 but improved the efficiency. 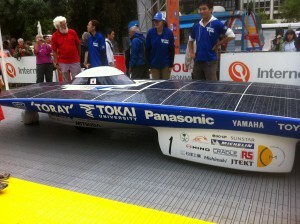 I read that the Tokai Challenger had a drag coefficient of 0.11 whereas University of Michigan had a drag coefficient of 0.10 Keep in mind that drag coefficient is a dimensionless quantity used to quantify drag or resistance of an object in a fluid environment (be it air or water), so a lower drag coefficient indicates the object will have less aerodynamic or hydrodynamic drag/resistance, which would be better for a car in a car race ( or anything that moves). 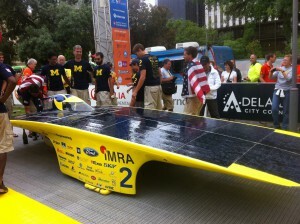 With a 10% difference in drag coefficient, University of Michigan should be in a more advantageous position, if solely based on drag coefficient (lower drag coefficient value). 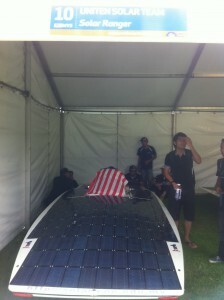 So my question here is: does Tokai Challenger 2 now has a different drag coefficient from 0.11 or are there other factors that had been more important than the 10% difference in the drag coefficient? 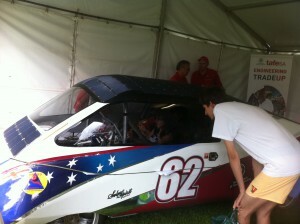 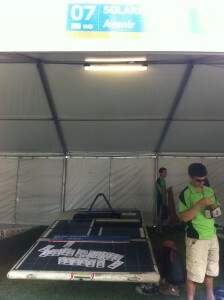 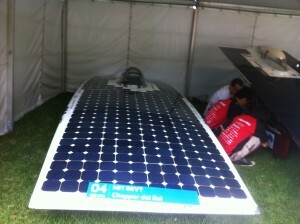 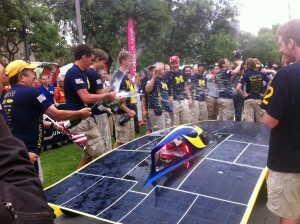 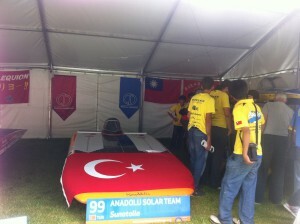 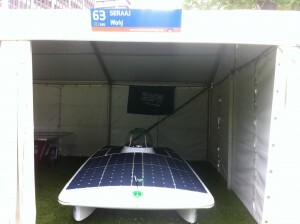 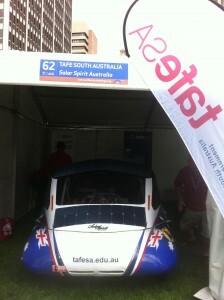 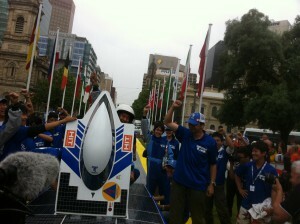 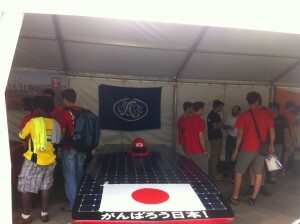 If any of you out there who knows more about solar car race, please let me know. 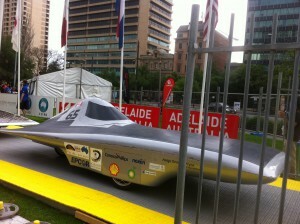 (Read the previous post of March 5, 2011 on Cars of the Future-Solar Cars). 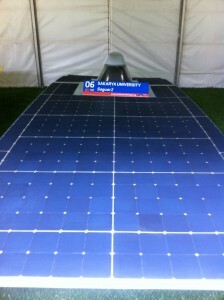 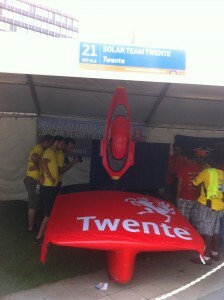 Above is the winning car of World Solar Challenge of 1996. 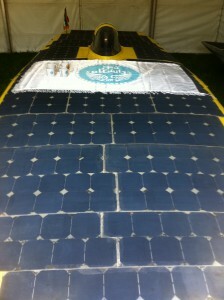 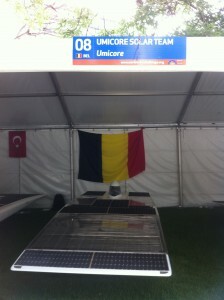 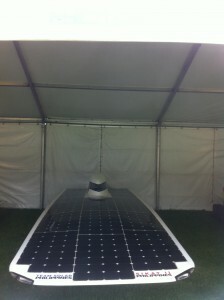 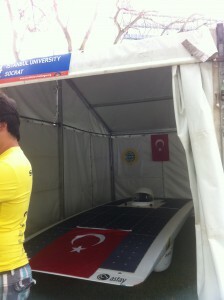 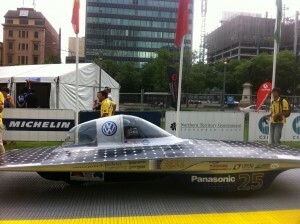 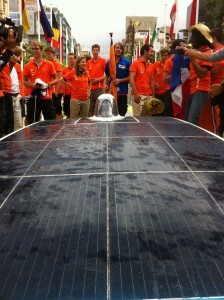 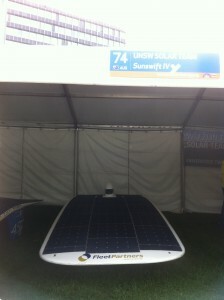 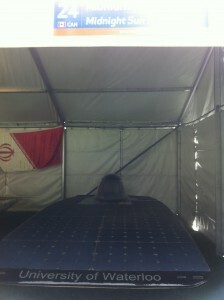 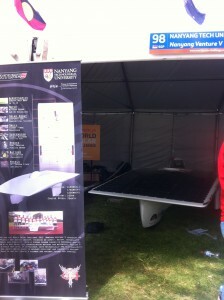 It is proposed that the dates of 11th World Solar Challenge® will be based on a start date of Sunday October 16th, 2011. 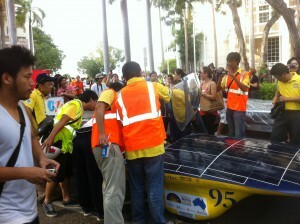 This would mean that preparation facilities will be available in Darwin from Tuesday 4th October 2011, and the awards event being on Sunday 23rd of October, 2011. 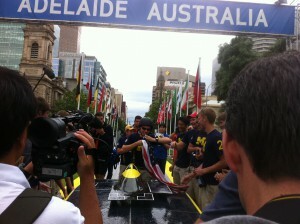 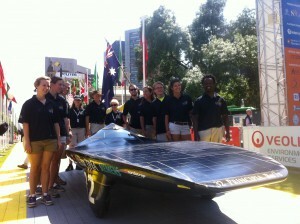 The Challenge will cross the center of Austalia, stretching 3000km from Darwin to Adelaide. 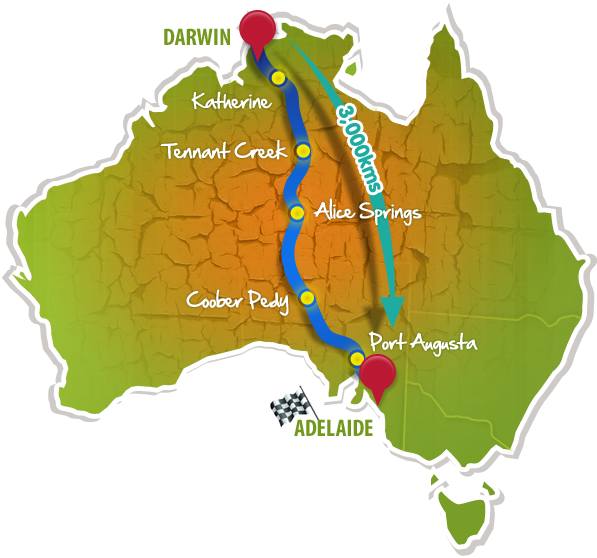 The Challenge crosses the center of Australia – stretching 3000km from Darwin to Adelaide. 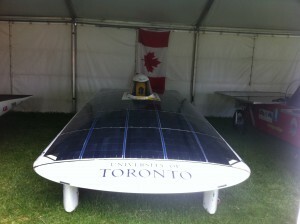 Cars of the Future-Solar Cars! 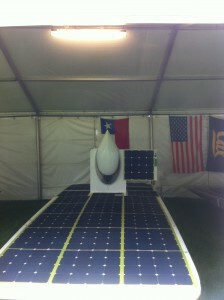 Part of the solution to energy and pollution involves technology that combines what we have learned from the aerospace, alternative energy, automotive, and bicycle industries. 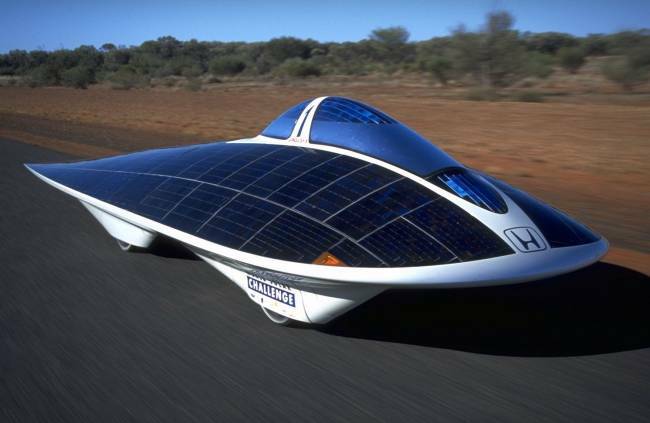 It may look like something out of a science fiction movie, but the reality of solar car races will one day bring all of us a step closer to the future, at least one solar car in each and every one garage of not only USA, but throughout the planet earth. 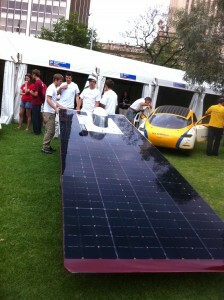 The Winning Car in the 1996 World Solar Challenge. 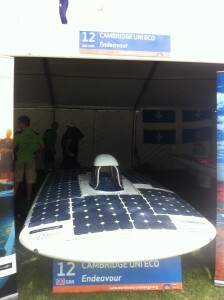 The custom made cells for the car are greater than 20% efficient. 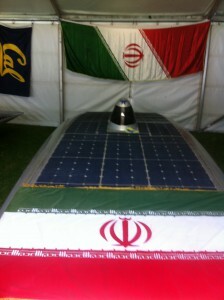 Please feel free to email me at sunisthefuture@gmail.com if you have any interesting clips to share or if you want to leave a comment right at this site. 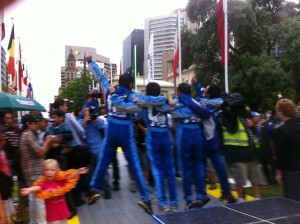 I am very excited about what the future may have in store for all of us.